The best known fruiting pomegranate variety produces large deep purple-red fruit with deep crimson juicy flesh. Pollination: self-fertile, pollinator is not necessary for producing a crop. 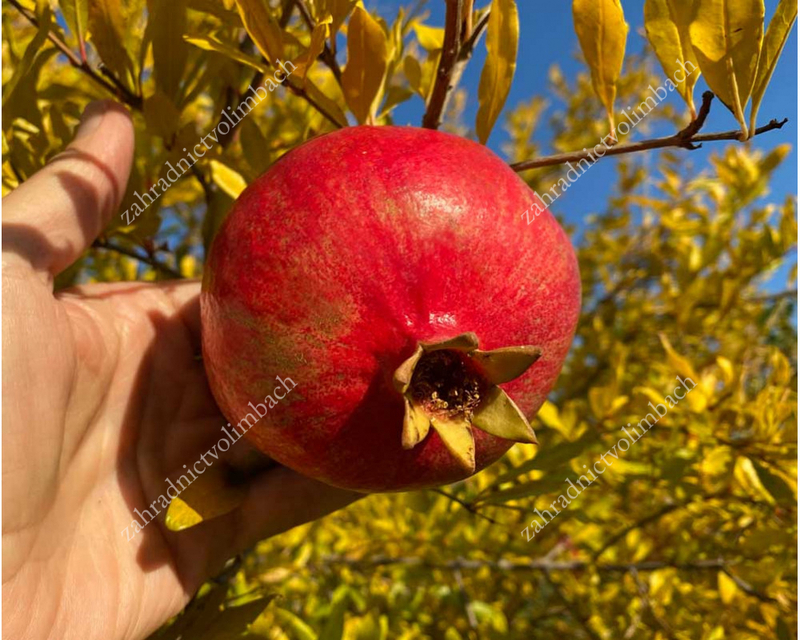 However will produce a heavy crop if planted in close proximity to a pollination partner which can be another variety of pomegranate. Pomegranates are not grafted onto any rootstock, so in areas where it gets cold enough to freeze, the tops of the plants may die back, they still come back and produce the same fruit. Pomegranate shrubs are one of the easier fruits to work with since they are not usually affected by pests or diseases.